Denim on denim, one of the diciest yet most rewarding combinations someone can wear. What's most scary about it is that it's so easy to make a small mistake and ruin your whole outfit. A tip I would give to anyone who wants to experiment with this combination is to make sure that the colour of the denim in both pieces is the same or at least similar. Why? 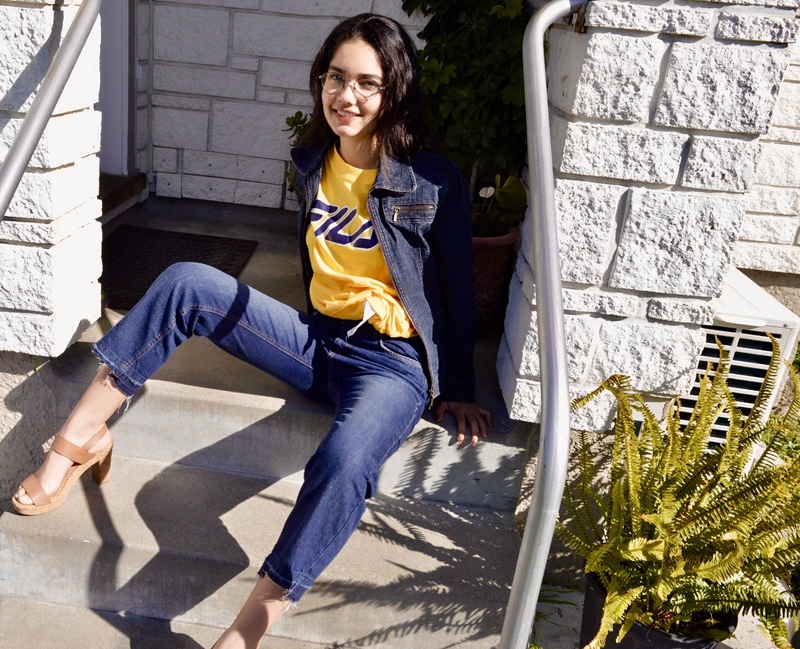 Well, when you have, say, a lighter shade of denim (a shirt) and a darker shade (jeans), the overall balance of the outfit can be broken by slightly contrasting shades of the same colour. However, when you pair two similar shades together, your outfit has a balance and yes, it will look subdued but that can be easily fixed by adding a statement piece. 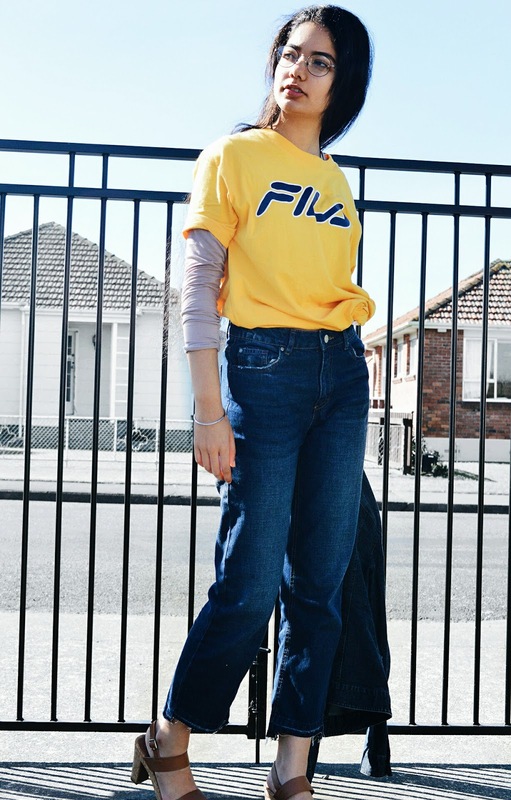 In the case of this outfit, the statement piece is the Fila t-shirt which brings a nice pop of colour to the otherwise monotonous outfit. The contrast of the mustard yellow and dark blue is a classic and safe one that adds a bit more fun to the overall look. In this case, I decided that wearing a denim jacket would be a better option than wearing a denim top purely because it was too hot for one. However, if you do decide to ditch the jacket and go with a shirt then I would suggest making the statement piece an accessory. This can be a heavy duty necklace or even hot pink studded boots. The choice is yours but I would be wary of having too many 'colourful and fun' things at the same time as that can be distracting. Check out Factorie x Fila’s collaboration here for some cool pieces. 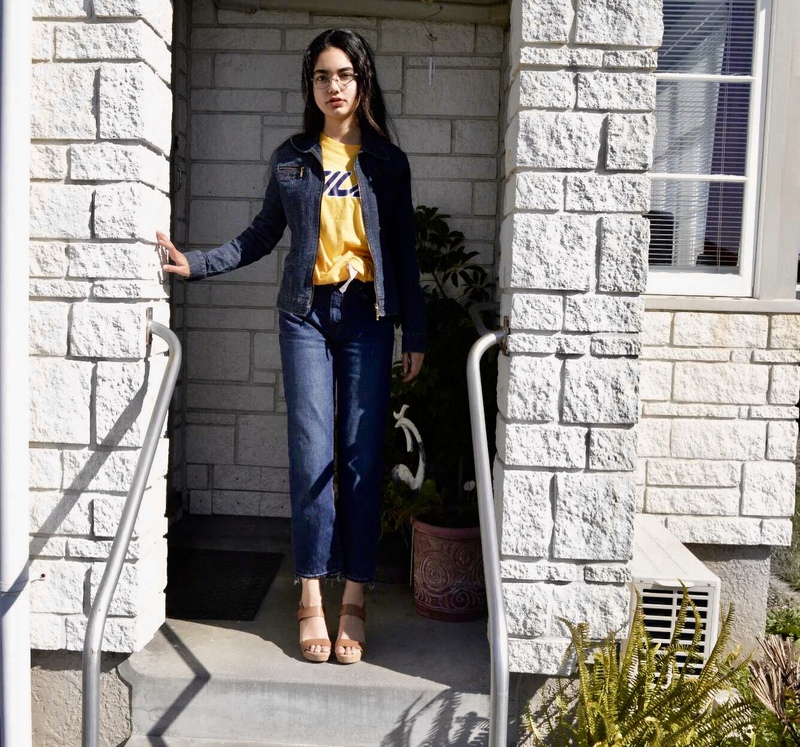 Love your take on the denim on denim trend. It's fun and fresh! 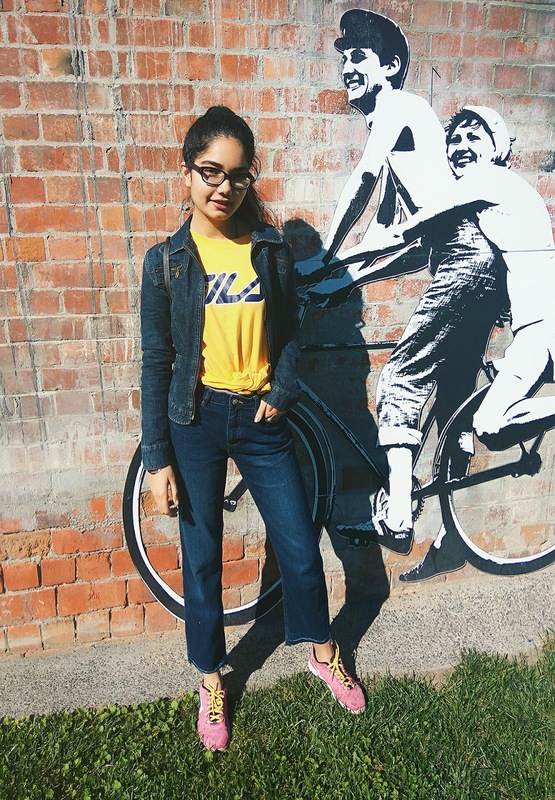 I like this denim on denim outfit and your tee is so cool! 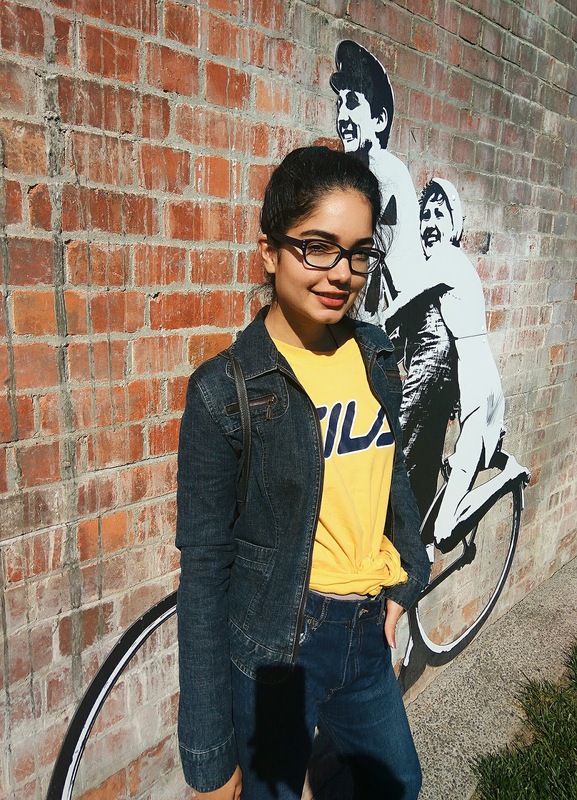 I love denim on denim and how you're wearing it! Such a must right now!